Legends Of Tomorrow has somehow become the best superhero show on The CW, largely because it refuses to shy away from the inherent absurdity of its premise, but the series has also shown a frustratingly unique awareness of what its audience does and does not want to see. The hawk people and the big bad were all boring in season one, but now they’ve been replaced by more interesting heroes and arguably the most entertaining villain in the history of Arrow and its spin-offs. Then there’s Keiynan Lonsdale’s Kid Flash, who was being tragically wasted on The Flash, but now he’s on Legends saving Elvis from ghosts. 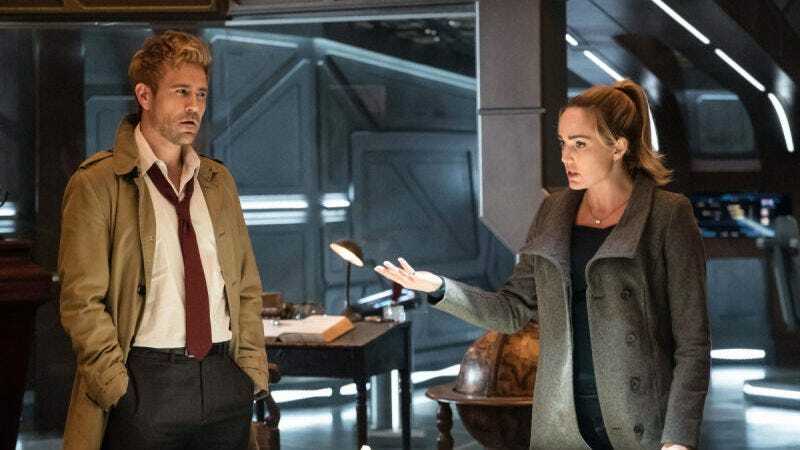 Now, another comic book favorite is joining up with Legends Of Tomorrow, as Deadline says that Matt Ryan’s John Constantine will be a series regular on the show for its fourth season. Ryan’s take on the chain-smoking demon hunter first appeared on NBC’s short-lived Constantine show a few years ago, but he jumped over to the Arrow universe last season in a crossover and has popped up a few times on Legends since then. With Constantine as a regular member of the crew now, perhaps Legends can make good on some of the mystical DC Comics stuff that was teased on his show like Dr. Fate or The Spectre, since a vengeful spirit who wears nothing but a cape and shorts isn’t too weird for a show that already dedicated an episode to vikings worshipping a Tickle Me Elmo knock-off.